door jezelf als groep buiten de algemene maatschappij te zetten veroorzaak je nu juist wat je niet wilt: als aparte groep behandelt worden. Yep, autism isn’t on the rise. The number of U.S. school children placed in special education programs due to autism more than tripled from 2000 to 2010, to nearly 420,000. But a new study argues much of that increase likely came as educators swapped one diagnosis for another. The overall percentage of kids diagnosed with a collection of brain development problems that includes autism remained unchanged, suggesting that children who used to be labeled with conditions such as “intellectual disability” were in fact autistic.“If you asked me, ‘Is there a real increase in the prevalence of autism?’ maybe there is, but probably much lower than the reported magnitude,” says Santhosh Girirajan, a geneticist at Pennsylvania State University (Penn State), University Park.In the new study, Girirajan and colleagues combed through data collected in each state for approximately 6.2 million U.S. school children with disabilities who are enrolled in special education programs. The information is collected each year under the federal Individuals with Disabilities Education Act. Based on his or her diagnosis, each child was assigned to one of 13 broader categories, ranging from autism to physical challenges such as blindness.Between 2000 and 2010, the number of children in the autism category more than tripled from 93,624 in 2000 to 419,647 a decade later. Yet nearly two-thirds of that increase was matched by a decline in the rate at which children were labeled as having an “intellectual disability.” The number of kids in that category fell from 637,270 to 457,478.The data indicate that the autism rise is partly the result of students being moved from one category to another, Girirajan says. hilarious… So what is ‘Normal’ ?? What is ‘Obese’ ??? It’s beyond incredible a newspaper could print such non scientific nonsense. As has been shown time and again ‘normal’ people suffer more, more often and longer from disease. They risk to die more from surgical interventions and are less likely to survive life threatening afflictions. how utterly predictable, luckily it’s only taxpayers money so nothing is lost. I’m told that at the back of a bus depot, there is a large pile of power batteries that no longer work. 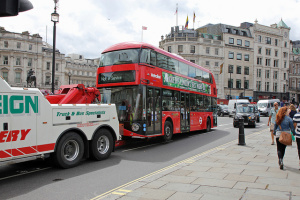 All have been removed from the new bus for London and are a crucial part of the hybrid system. Drivers say that many buses across London are operating without them in place. Does certified organic farming reduce greenhouse gas emissions from agricultural production? Easy. They claim to heal/cure/relief many totally different afflictions. Whilst cannabis sativa has many psychoactive components one wonders why evolution went so wrong as to not incorporate the synthesizing of those components in the body if they have such enormously positive influence on all ailments claimed to to have an influence on. At least the word ‘may’ is included which pretty much renders the whole story nothing but a nice ‘if only’ . Medical cannabis also provides bone tissue with mineralization, so it protects bones from further injury, making them less fragile. “After being treated with CBD, the healed bone will be harder to break in the future,” Gabet explained.This is not the first study devoted to the health properties of marijuana. It has been linked to effective treatment of epilepsy, Multiple Sclerosis, Alzheimer’s and Parkinson ‘s diseases. It is also used to soften the negative effects of chemotherapy in cancer patients, treat chronic pain, and help people struggling with post-traumatic stress disorder. Yep. It’s a regular miracle cure for just about anything.